Wetlands are one of the most productive, species rich and culturally intriguing habitats on earth. The theme of World Wetlands Day in 2019, draws attention to the vital role of wetlands as a natural solution to cope with climate change. Ken Irvine, Professor of Aquatic Ecosystems at IHE Delft answers a few questions on the importance of wetlands conservation and tells us more about a new, global initiative: The Alliance for Freshwater life. The Netherlands is a country built on water and wetlands. What is the traditional Dutch way of dealing with wetlands? Drain them and turn them into polders, which increases flood risk and threatens biodiversity. Nowadays, we try to undo old wrongs by restoring wetlands, but the old-fashioned attitude is still widespread, here and in other parts of the world. Because we are now much more aware of their valuable benefits, it is becoming even more important to protect them. The Ramsar Convention plays an important international role in wetlands conservation and sustainable management. Read the story from Anne van Dam, Associate Professor of Environmental Systems Analysis. Join us for a webinar on the Global Wetland Outlook: State of the World's Wetlands, which will be held Monday, 4 February 2019, from 17:00-18:00 (US Eastern Standard Time). Prof. Royal Gardner and Dr. Max Finlayson, lead coordinating authors of the Global Wetland Outlook, will present. This free webinar is co-sponsored by the Institute for Biodiversity Law and Policy, Stetson University and the Ramsar Section, Society of Wetland Scientists as a World Wetland Day event. This picture was taken by alumna Borjana Bogatinoska on September 29th 2018, in one of the river reaches in the Danube Delta in Romania. "The answer to the question of why this picture means so much to me, is because it was part of the second campaign in the Danube Delta, orginised by the project SCENT and I was given the opportunity to do hands on measurements. The main reason why I was there is because I am conducting a research, as part of my MSc thesis, on defining the problem with the water stagnation in the delta and how that influences the environment. The beauty of the Danube Delta, the largest river delta wetland in Europe, has left me speechless. There are not enough words nor pictures that can capture one of the finest, wildest, best-protected and most famous wildlife areas of this continent", says Borjana. "During my stay in Kenya with the Limnology and Wetlands Management program and further during my research in Zambia, where I worked in the Kafue Flats, it was amazing to see how close the relationships between the people and the wetlands are. Wetlands have a direct impact on their daily life by providing them construction material, fish, acting as a water filter or simply by altering the microclimate in the surrounding area." On 2nd February it is World Wetlands Day. Abdi Mehvar, PhD fellow, explains why this day is important for human well-being and the world. The overall objective of the Building with Nature project is to make coasts, estuaries and catchments of the North South region (UK, Norway, Sweden, Denmark, Germany, Belgium and The Netherlands) more adaptable and resilient to the effects of climate change using nature based solutions. The Building with Nature project will exchange experiences (bad and best practices) of Building with Nature projects in this region. They involve 7 coastal target sites in NL, D, DK, SE (sand nourishment at North Sea Coasts and Wadden Sea barrier islands) and at 6 catchment scale sites in B, NL, SE, SCO (e.g. river restoration, room for the river and wetlands) referred to as 'laboratories'. The Building with Nature project creates joint transnational monitoring programmes, uses state-of-the-art analysis methods, develops improved designs and business cases. The laboratories generate the evidence-base to incorporate building with nature concepts in national policy and investment programmes of each of the NSR countries (worth >€200M/y). 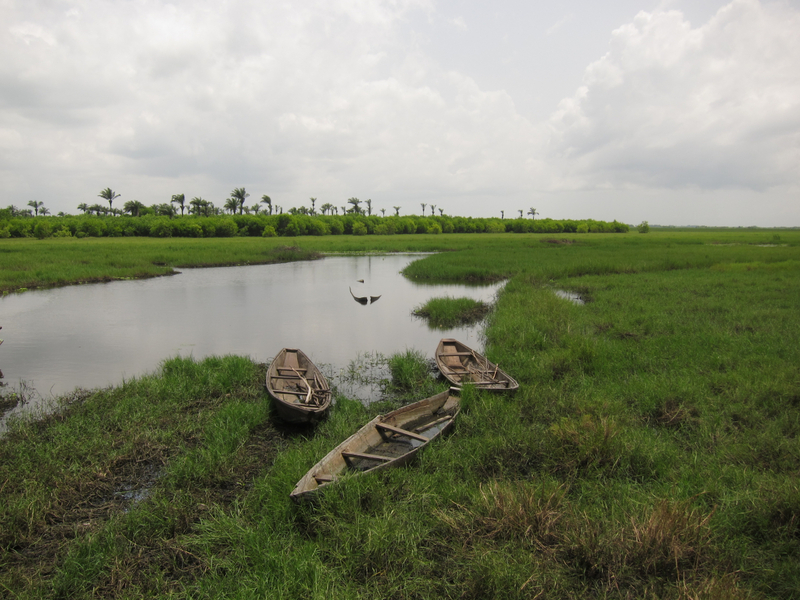 Our PhD participant Maximin Djondo is doing his research on the wetland people (Toffinou) and their relation with ecosystem services in the Lac Nokoue wetland in Benin. IHE Delft is involved in the OmiDelta bilateral programme that addresses WASH and IWRM in the delta of the Oueme river in Benin. 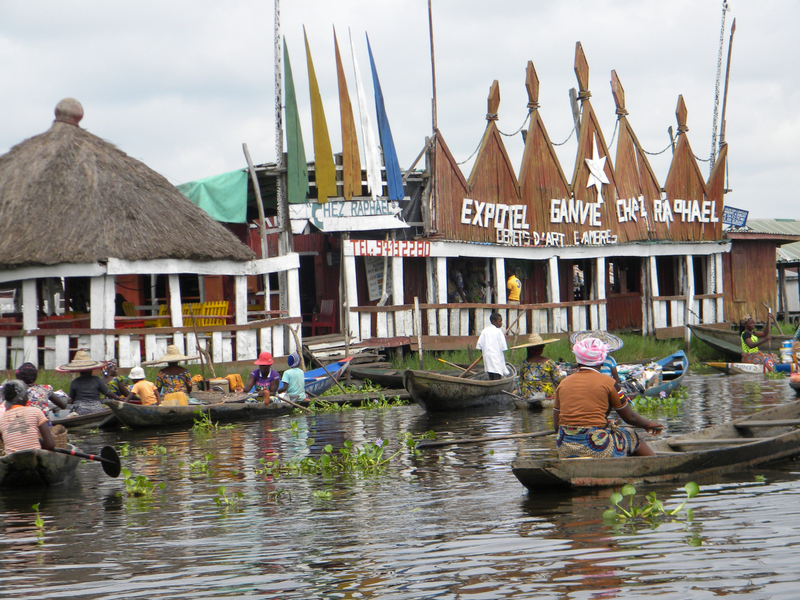 Lac Nokoue is part of the delta. IHE Delft entered a collaboration with the autonomous national university of Mexico (UNAM) and specifically with its Sustainability Sciences Institute (LANCIS). The cooperation includes both joint education and joint research. A recent example is a jointly coordinated course on Urban Wetlands as Socio-Ecological systems that is part of UNAM’s postgraduate programme. The course took place between 14 and 26 January 2019 and used Xochimilco wetland in Mexico city as a case study. Xochimilco wetland is a UNESCO heritage site with unique ecological and cultural characterstics. It is famous for it so called ‘ chinampas’ as pre-Hispanic agricultural system.